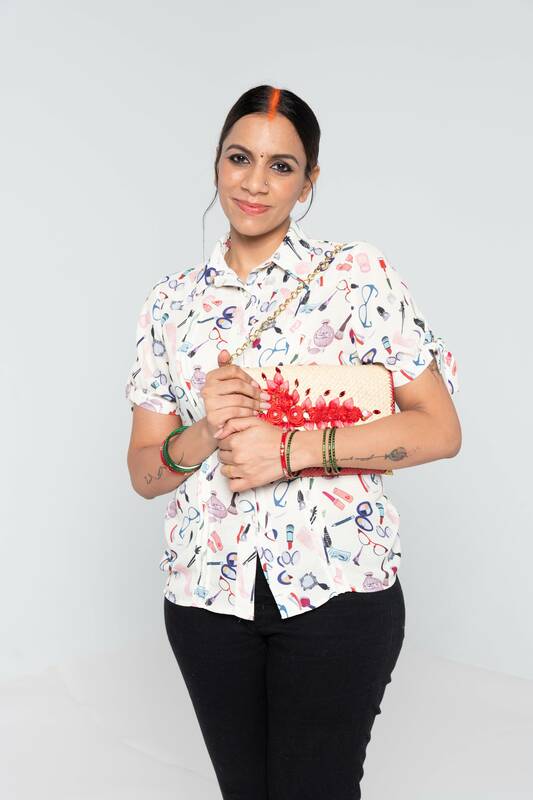 Comedian extraordinaire Sharul Channa may be better known for her acid-tongued acerbic wit and jabs, but last year, surprised us with a series of dramatic monologues presenting the stories of various women in the Indian community at Kalaa Utsavam 2018. Now, Sharul is back to kickstart her 2019 season with a brand new show that continues to build on that craft, with Crazy Poor Sita premiering in March. “What’s so different about Sita,” Sharul adds, “is that I’ve always played middle class women, but you see, Sita isn’t just poor, she is the poverty line. Her clothes come from under the block, she’s earthy and intelligent in completely different ways, like the science of how to bathe with just one pail of water. Her whole life is Earth Hour! Her world is so different from ours, and her brand of comedy comes from how absurd she finds the world of the crazy rich, or even the middle class. If she’s working at a department store for $7 an hour, and she sees these rich women walk by and use aloe vera gel to clean their hands, she laughs because it’s just so inconceivable to her. 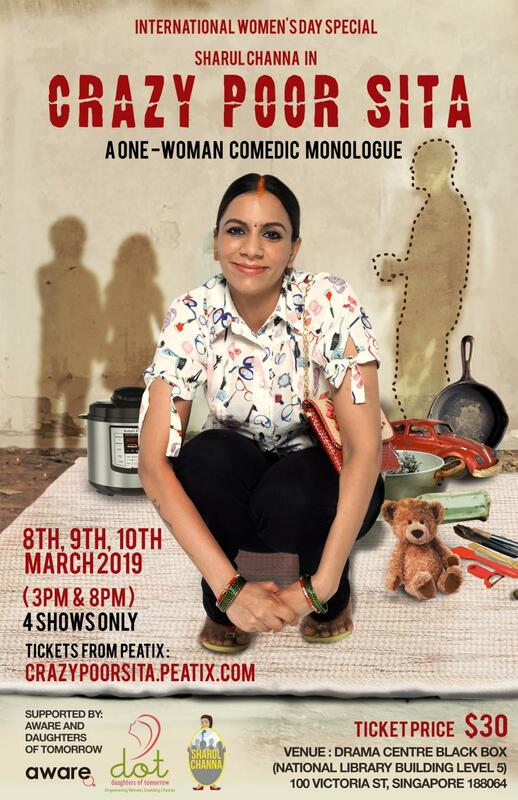 Crazy Poor Sita plays at the Drama Centre Black Box from 8th – 10th March 2019. Tickets available from Peatix. One third of the proceeds collected from Crazy Poor Sita will go to AWARE and Daughters of Tomorrow.